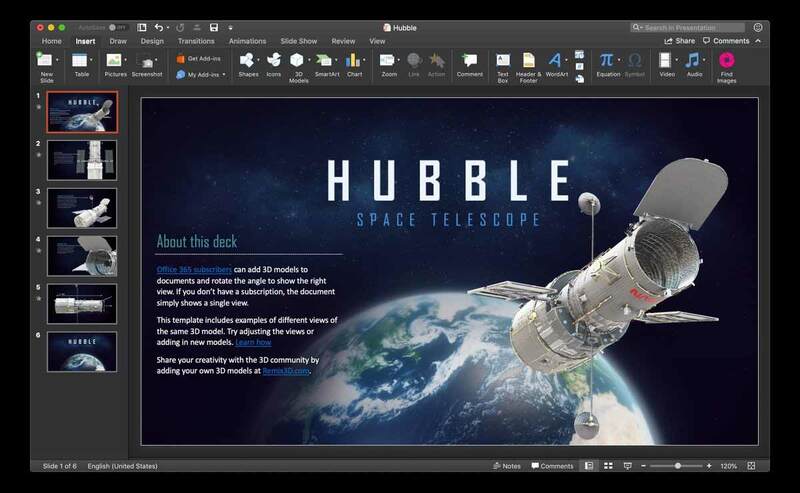 Microsoft’s official suite of Office apps for macOS have been updated to offer better compatibility with macOS Mojave. More specifically, these latest updates bring a new visual element to the apps meaning they now support macOS Mojave’s Dark Mode. A lot of consumers who enter in Apple’s ecosystem often choose to use the company’s own productivity apps, namely Pages, Keynote, and Numbers. However, the power and versatility of Microsoft Office, as well as the fact that the Redmond company offers the Office 365 subscription, means that more and more Mac owners are bringing Microsoft into their daily workflow. This latest update brings support for Dark Mode, as well as other other features, to apps like Word, Excel, PowerPoint, and Microsoft Outlook, which is often the default mail client for a lot of Mac owners. The Dark Mode functionality does exactly as you would expect it to. It means that the apps can now be used in standard or Dark Mode based on the system default built into macOS Mojave. This gives a new dark and mysterious feel to the apps and instantly makes them feel refreshed and overhauled even though very little – if any – work has been undertaken on the user interface. Microsoft has also added to PowerPoint by supporting Apple’s Camera Continuity feature that allows a user to capture an image on iPhone or iPad and immediately have it exported into a PowerPoint document that is running on a Mac. Microsoft has also made the update available to essentially anyone using this suite of apps for Mac. This applies to Office 365 subscribers as well as those people who have simply chosen to make a one-off purchase of Office 2019 for Mac. For those using Office 2019 and who want to benefit from these latest updates, Microsoft’s AutoUpdate feature can be used by going to Help > Check for Updates within each app That process should be enough to push the available update through and let you benefit from all of these new features and improvements. Apple’s Dark Mode within macOS Mojave has been extremely well-received since launch with the only real criticism being that developers have been slow to offer support for their apps. Microsoft can now be commended for jumping into action.